Joining the PTA is an excellent way to bring together parents, teachers and your local community to raise money and to support the school. It provides an opportunity for everyone to work together towards a common goal. All parents, teachers and school staff can get involved even if they only have a small amount of time available. What does a PTA do? If you feel that you have some time(no matter how little) and would like to join the PTA then please come along to our meetings which are held at school on the first Friday of each month. The PTA have worked hard raise funds for the school over the years however we also welcome new people to come along and join. If any parent or friends of the school would like to join our PTA, we would be very interested in meeting with you. Please contact the school for further details. 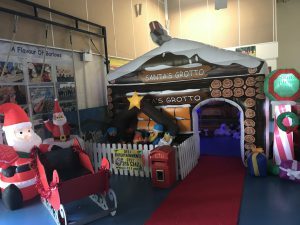 Our Christmas fundraiser took place during the last week of term, this included the sale of Christmas Cards and the fantastic grotto donated by Steve Chadwick of 0151 Entertainments. The funds raised from this event will be used to buy Maths and Geography resources for the school.